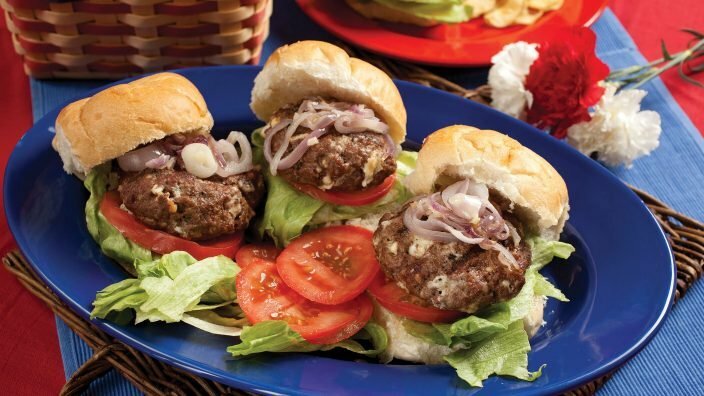 Just in time for the biggest holiday of the summer, this burger has the cheese tucked throughout the patty, keeping it moist and offering the tangy cheese in every bite. 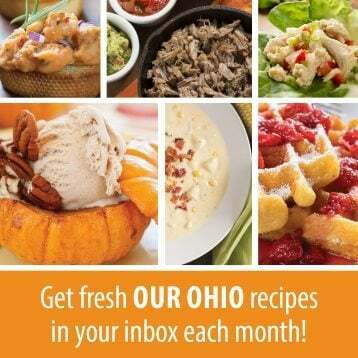 Serve it topped with grilled red onions on a crusty Kaiser roll. 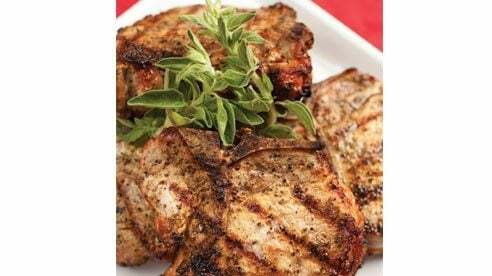 The intense heat of the grill quickly dries out lean meats like pork and chicken. This technique calls for a disposable aluminum roasting pan that, once the chops have a nicely seared crust, acts as an oven to take them to a juicy finish. The total cooking time will vary on the size of the chicken. 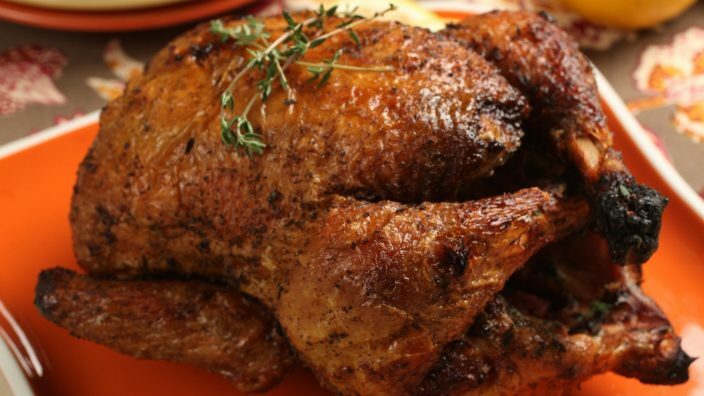 A 4-pound chicken will take about 1½ hours.